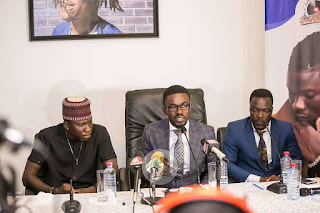 It all started after the label posted a picture of the Bhim nation boss on their fan page. The picture which had hundreds of attacks under comment box from the Bhim fans was based on the claims that, their president is not being treated well by the label. According to them, the label have never hype the good works of Stonebwoy even though he's been travelling around the globe to raise the flags of the label and Ghana high..